Maize has strong adaptability to the environment, and has the characteristics of drought tolerance, cold tolerance, poor tolerance, easy planting in mountainous areas and sandy soils. It is more adaptable than traditional rice and wheat in China. However, when the Ming Dynasty corn was first introduced to China, no one paid attention to the cultivation of corn, and even only served as a gardener. Popcorn, in fact, is popcorn, also called Shibuya in China, and Sichuan is called Shibuya. Popcorn tastes good, sweet, crisp and crisp, with a bit of sweetness, even if the teeth are not good enough to eat. When popcorn originated, no one knows, but there is no doubt that popcorn must originate from the countryside. It is said that before the emergence of the Shibuya flower, the villagers went to the mountains to plant wasteland and planted rice with dried flowers. The so-called rice flower is to stir the rice constantly, so that the rice grains bulge. Going up the mountain to open up wasteland, after a few days of walking, put the rice flower in a cloth bag and take it up the mountain. When you are hungry, you will eat rice to satisfy your hunger. Later, the villagers used oil and fried corn kernels to make Shibuya flowers. They felt better than rice flowers. One was incense and the other was hungry. Therefore, Shibuya replaced rice, which was popular in the vast rural areas. Gradually, the popcorn machine appeared. Whether it was a country or a town, carrying such a machine, it was welcomed by people everywhere. Use the popcorn machine to beat rice, corn, soybeans, etc., and put a bean into the oven. In a short time, you will come out with a fragrant rice flower. You can taste the sweet taste without spending a lot of money, making popcorn a good and a young age. Snacks. The old-fashioned popcorn machine is a converter-style popcorn. The corn is placed therein to heat, so that the corn is under high temperature and high pressure, the temperature in the pot is continuously increased, and the pressure of the gas in the pot is also continuously increased. When the temperature rises to a certain extent, the rice grains will gradually soften, and most of the water in the rice grains becomes water vapor. Due to the higher temperature, the pressure of the water vapor is large, which causes the softened rice to expand. But at this time, the pressure inside and outside the rice grains is balanced, so the rice grains will not burst in the pot. Then a loud bang, the machine cover is opened, the corn is suddenly released under normal temperature and pressure, the gas in the pot expands rapidly, and the pressure is quickly reduced, causing the pressure difference between the inside and outside of the corn kernel to become large, resulting in corn kernels. The high-pressure water vapor also expands rapidly, and the corn kernels are instantly popped up, which becomes popcorn. Street-type converters are relatively backward. The pot contains lead. When heated under high pressure, a certain amount of lead in the pot will melt, and some of the lead will become steam and lead fumes, contaminating the raw materials. Especially in the last moment of "砰", lead is more likely to be adsorbed on loose rice flowers, and lead is absorbed by the body, which will damage the nervous, hematopoietic and digestive systems, and is prone to chronic lead poisoning. Most of the popcorn is popcorn that has been blown out by bursting corn. The processing container is no longer an early "converter", so it avoids the harm caused by lead. 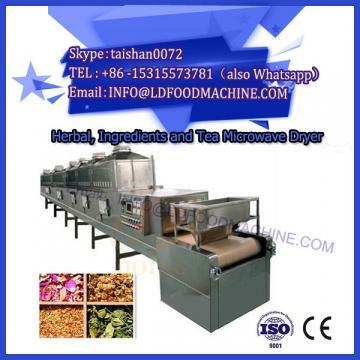 But now when making popcorn, in order to make it more attractive, it will add margarine, even flavors, pigments, etc., which will bring extra energy and trans fatty acids. Of course, many high-grade popcorn will be processed with non-trans fatty acids such as coconut oil and palm oil to make popcorn delicious and nutritious.